Essential oils have been used for thousands of years for both medicinal and health purposes. 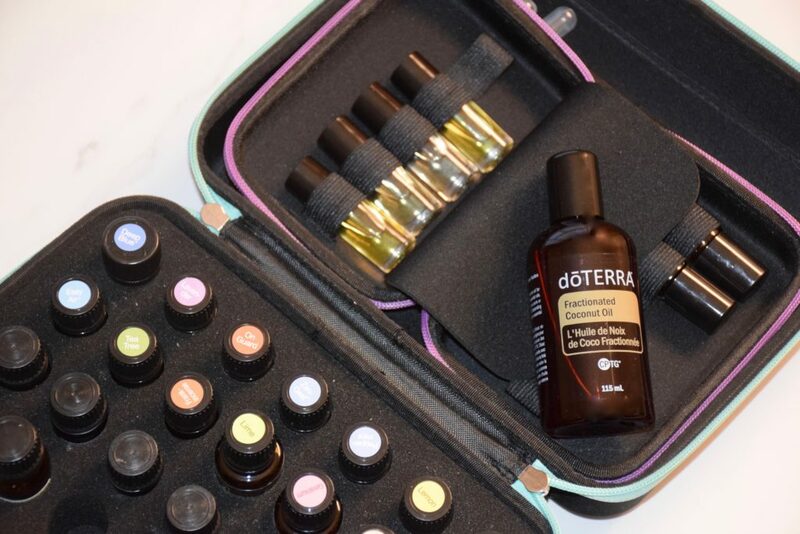 Aside from diffusing oils, I hadn’t really taken them internally or used them to make household cleaners/beauty products until I discovered dōTERRA. 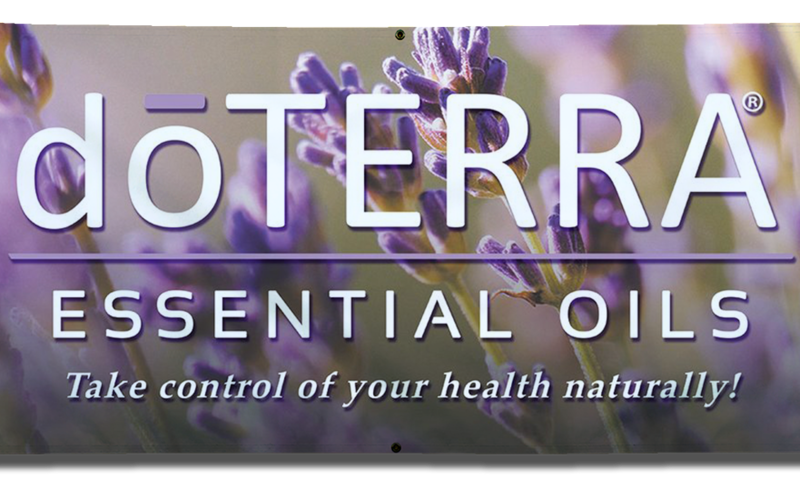 dōTERRA provides only the highest quality therapeutic grade essential oils and wellness products. They have dozens of different oils and other products that have calming, antibacterial, stimulating, antiviral and detoxifying properties. Below are 5 dōTERRA recipes that you should try if you love essential oils as much as I do! 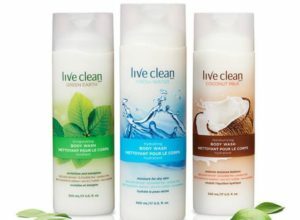 The first two are all-natural cleaners that are eco-friendly, affordable and actually more effective than store-bought cleaners that pollute the air that we breathe! 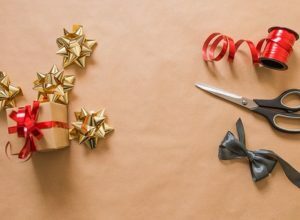 These DIYS are great because they can be made easily with ingredients that you already have around the house and they’re also non-toxic and safe for children and pets. 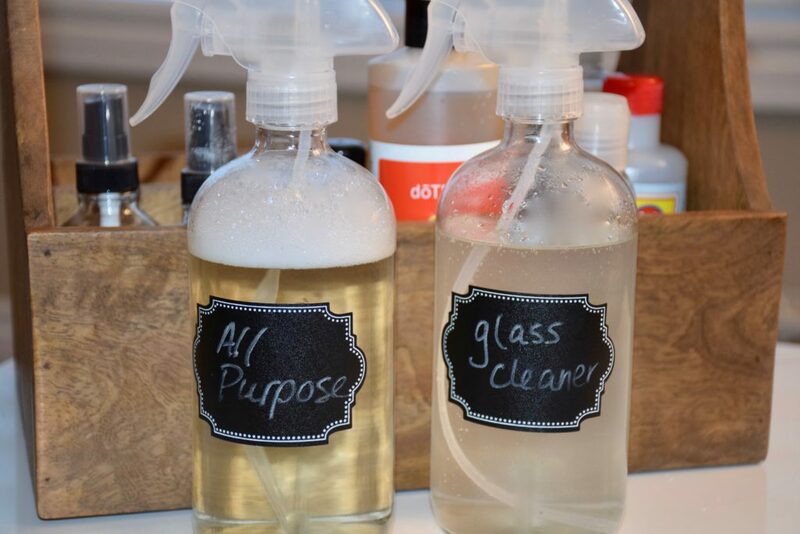 I should probably add that these recipes should be made in glass spray bottles since essential oils break down plastic over time (that’s how powerful they are!). I usually get mine on Amazon. 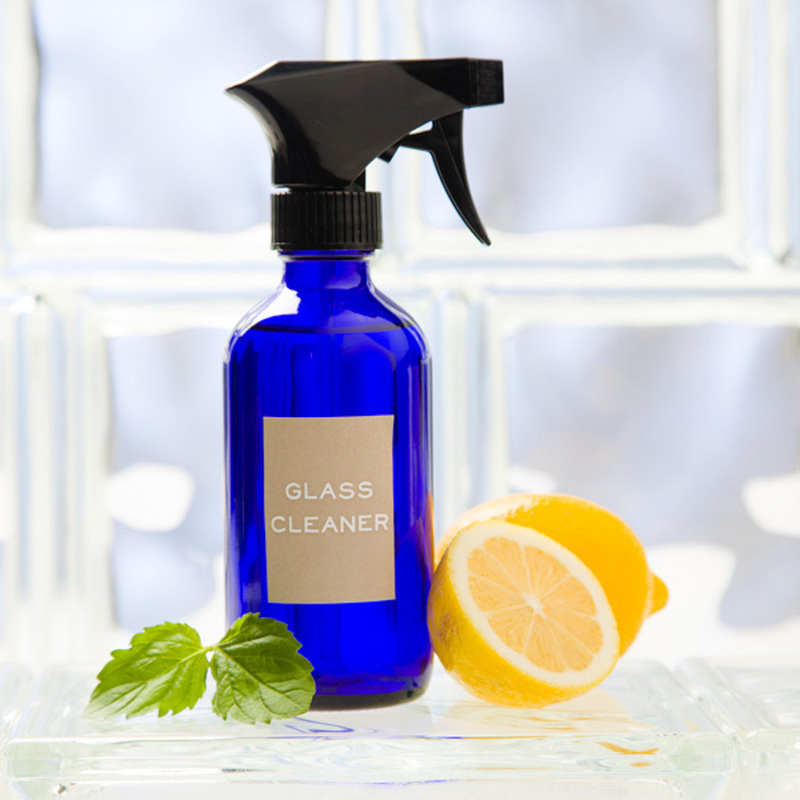 To make the glass cleaner, combine 1 1/2 cups of white vinegar, 1/2 cup of distilled water and 8 drops of any dōTERRA citrus essential oil. 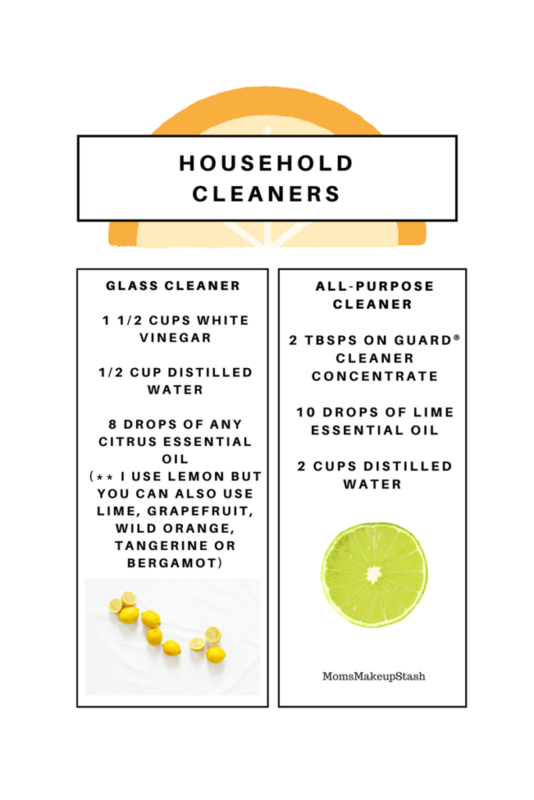 I prefer to use Lemon but you can use any of their citrus oils and get the same results. Just mix well and use on windows, mirrors and/or other glass surfaces. 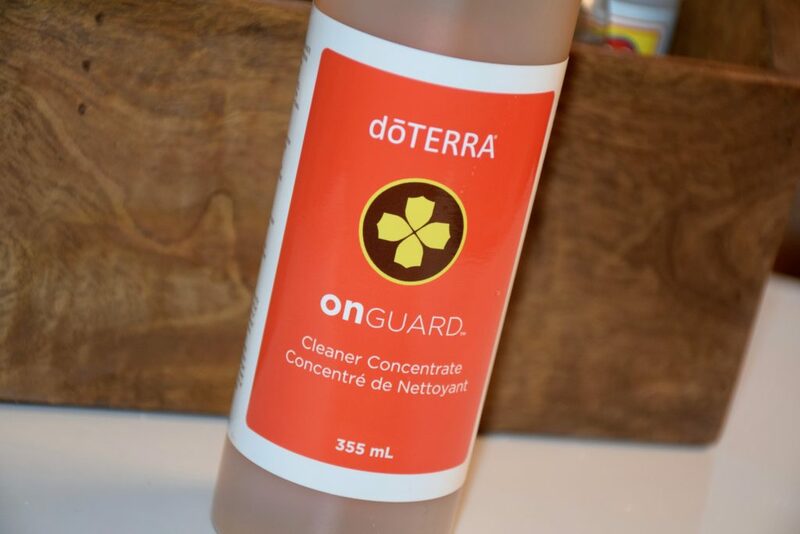 To make the all-purpose cleaner, combine 2 tablespoons of dōTERRA’s On Guard Cleaner Concentrate, 10 drops of Lime essential oil and 2 cups distilled water in a 16oz glass bottle. Shake well and use on any hard surface in the kitchen or bathroom, on floors, doors and more! 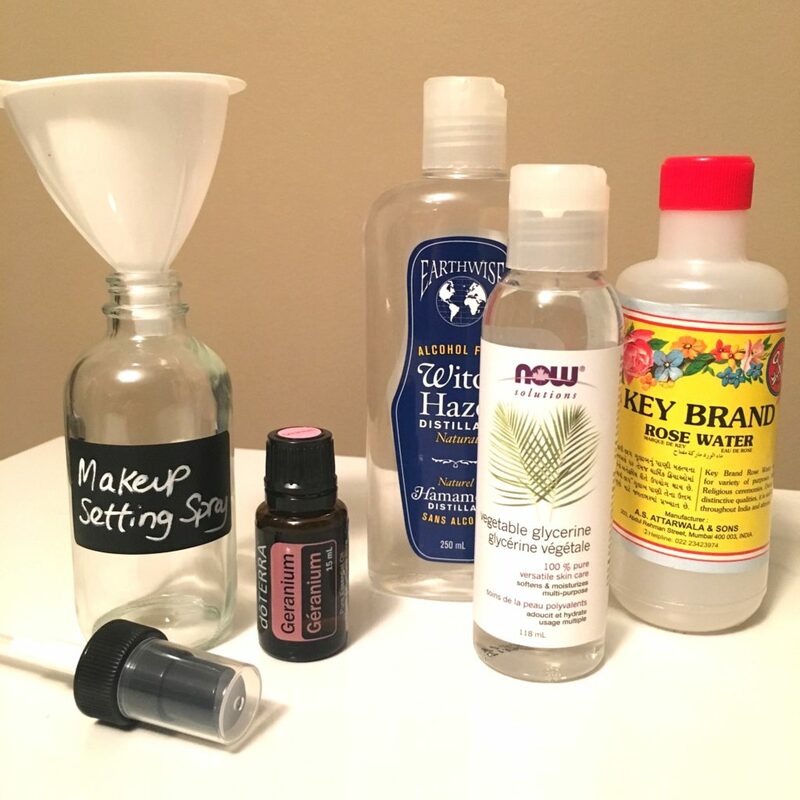 Next up is a DIY Pillow Spray that I’ve been obsessed with. So much so, that I can’t seem to sleep without it. I got the idea of making my own pillow spray after really enjoying the Deep Sleep Pillow Spray by thisworks but decided that I didn’t want to spend the $79 to replace it. There are different linen and pillow sprays that you can make but this particular blend is my favourite. Just combine 2 teaspoons of vodka, 2 drops of Peppermint essential oil, 6-7 drops of Lavender essential oil and distilled water in a 4oz spray bottle. It’s that easy and costs next to nothing! 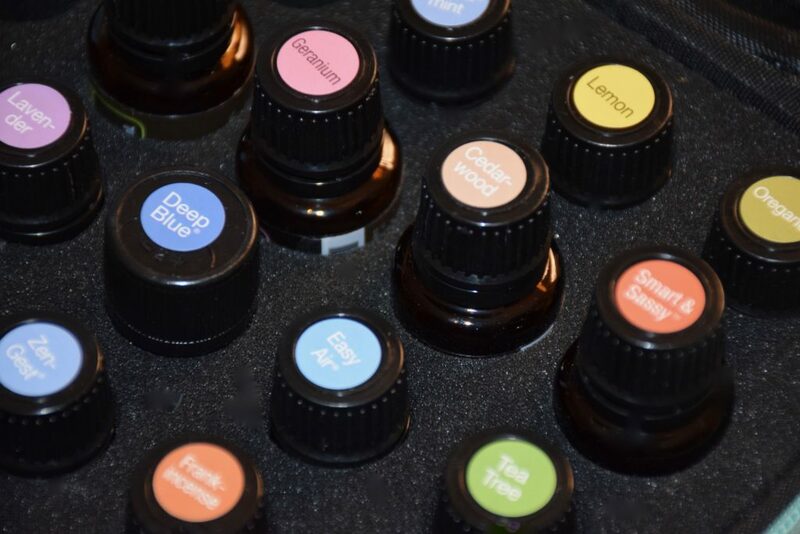 Essential oils can also be used to make your own beauty products and toiletries. 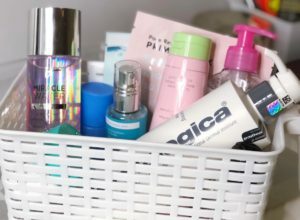 I’m still experimenting but have already laid claim to a DIY Makeup Setting Spray that costs pennies to make and also swear by a nighttime skincare regime that includes adding 1 drop of Frankinsence essential oil to my favourite serum or mask. 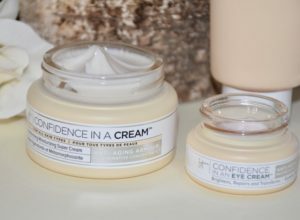 My skin has never looked and felt better! To make your own makeup setting spray or refreshing skin mist, combine 2 tablespoons of witch hazel, 4 teaspoons of vegetable glycerin, 3oz of rose water and 6 drops of Geranium essential oil to a 4oz glass bottle. Rollerballs are a great way to customize your own essential blends. 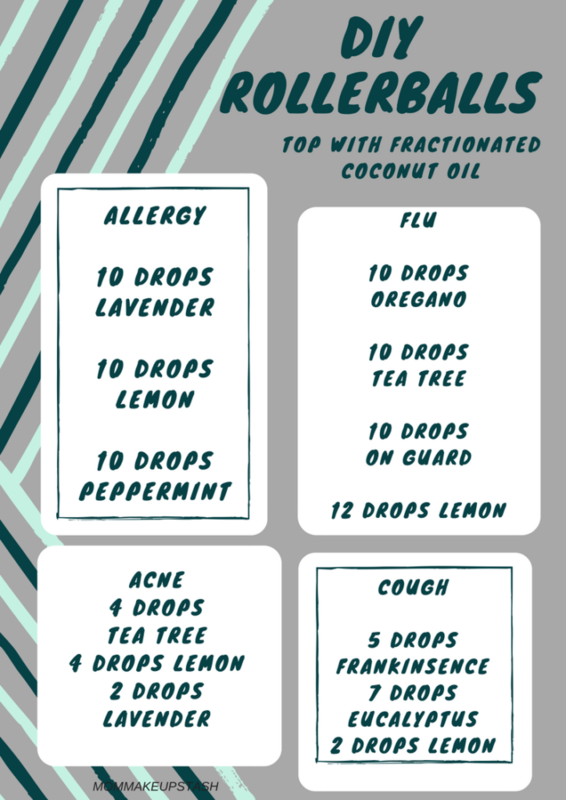 Whether you suffer from respiratory problems, headaches, muscle tension, aches/pains, sleep disturbance, cough/flu symptoms, allergies or acne, there is an essential oil remedy for you. 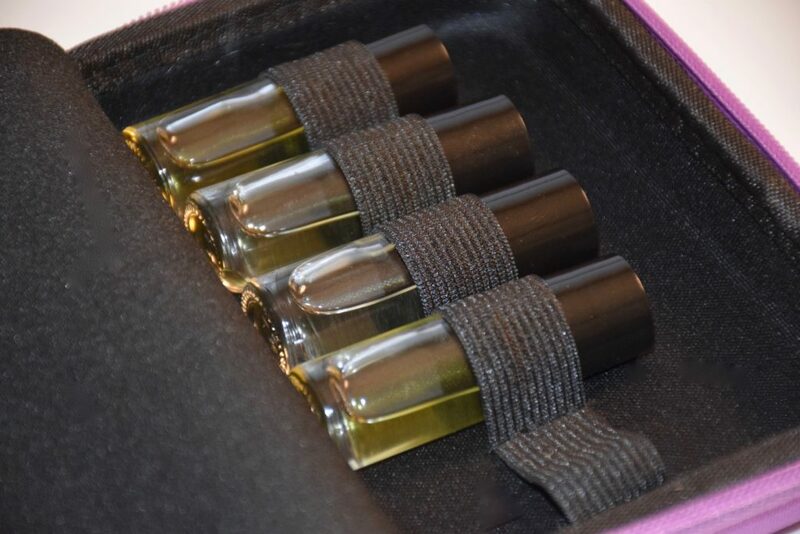 Rollerballs are easy to tote around and very effective but to make them you’ll need to combine your essential oils with a carrier oil (I use Fractionated Coconut Oil) to dilute their potency, especially if you are using them on children. Here are a few of my recent favourites. All four blends were made using 4ml glass rollerballs (purchased on Amazon). I apply the allergy blend to the bottoms of my feet or the back of my neck 3-5 times per day and the flu blend to my lymph nodes, neck and spine when flu symptoms first develop. 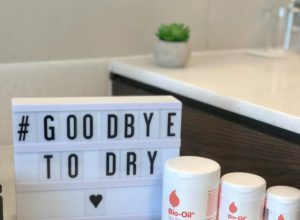 The acne blend can be used topically everyday or a blemish spot treatment and I reach for the cough blend when needed. These are just a few of the different concoctions that I’ve created using dōTERRA essential oils. Stay tuned for my Top 10 Essential Oils (and how I use them) on this site soon! In the meantime, be sure to check out my wellness website and reach out if you are interested in learning more about essential oils or would like to know how you can purchase dōTERRA at wholesale prices and earn points on their Loyalty Program. 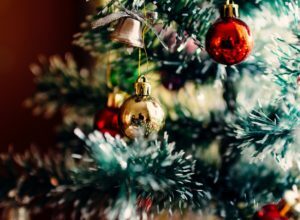 Disclaimer: The statements in this blog post have not been approved by the Food and Drug Administration. Essential Oils are not intended to diagnose, treat, cure or prevent disease. Anyone with known medical conditions should consult a physician prior to the use of any essential oil product.